You may be surprised how much an individual can save when a Fort Lauderdale CPA firm like Britt & Company, P.A. prepares your income tax return. An individual who is in the process of a divorce or separation may need to change their filing status or risk owing a hefty tax payment to the IRS. Britt & Company, P.A. provides personal attention to clients in all kinds of tax brackets, helping them determine whether filing jointly, separately or as head of household will save the most money in taxes while complying with federal filing requirements. We also understand the significant tax consequences associated with alimony and when these payments are deductible by the payer and included in the recipient’s taxable income. 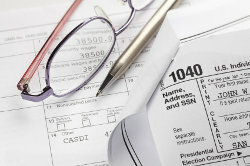 But our tax services go beyond preparing your tax return. Britt & Company, P.A. helps you protect the financial welfare of you and your family with personalized tax strategies tailored to each individual. Before we make any recommendations, we get to know the intricacies of your current financial situation and then formulate practical solutions that will help you preserve wealth and plan for the future. Call us at 954-718-5022 today to schedule an initial consultation to explore various opportunities for reducing your tax liability.